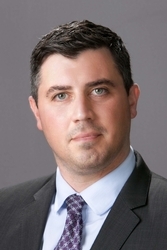 Hill Wallack LLP is pleased to announce the promotion of two of its attorneys. Nicole Perdoni-Byrne has been named a Partner of the firm in its Real Estate, Banking & Financial Services and Public Finance practice groups. Michael P. Morrow has been named Counsel in the firm’s Real Estate, Creditors’ Rights/Bankruptcy, and Corporate Law practice groups. Both Perdoni-Byrne and Morrow are based in the firm’s Princeton office. Nicole Perdoni-Byrne concentrates her practice in financial institutions and in all matters pertaining to banking and secured transactions, as well as representation of purchasers and sellers of commercial property and business assets. 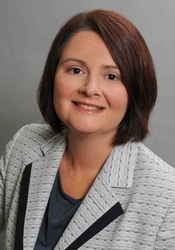 Her work includes preparation and review of loan documentation, participation agreements, acquisition, construction and line of credit financing and refinancing, loan modification, restructuring, mergers and acquisitions, grants, workouts and closings, as well as drafting and negotiating agreements of purchase and sale. She is one of the few lawyers in the State named a Designated Attorney for the U.S. Small Business Administration 504 Loan Program. She was named to the New Jersey Law Journal’s 2011 40 Under 40 list of top lawyers. She is a scout leader for the Girl Scouts of Robbinsville and Allentown, formerly was pack committee chair for a Cub Scout pack, and served as a member of the Family Section Committee of Habitat for Humanity in Millstone Basin. Perdoni-Byrne is admitted to practice in the State of New Jersey (2001) and earned her law degree from Seton Hall University School of Law and her Bachelor of Arts degree from Rutgers University. Negotiating and drafting commercial real estate contracts for medical, industrial, office and multi-unit apartment spaces; representing individuals, national mortgage servicers and investors in residential real estate transactions; representing businesses in contract negotiations for the purchase and sale of assets; and other matters in real estate and bankruptcy areas. He also does substantial work in title curative matters. Morrow is admitted to practice law in all state courts in New Jersey and New York, and the federal courts for New Jersey and the Southern District of New York. He earned his J.D. from New York Law School and his B.A. in Economics and Political Science from Dickinson College. Morrow is vice president of charitable giving for the Morrow Foundation, founded by his parents, Mark and Marsha Morrow; the Foundation contributes substantial funds to such institutions as Dickinson College, Muhlenberg College, The Jewish Federation of Southern New Jersey, and the Crohn’s and Colitis Foundation. Morrow also serves as a member of Dickinson College Regional Council.